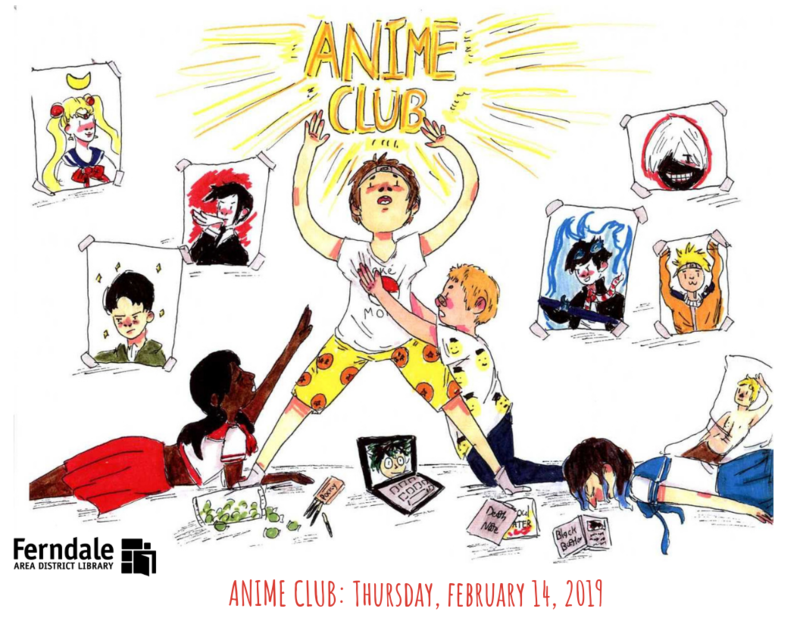 Anime Club just for teens! We'll do activities, have snacks, and talk about our favorite anime and manga! 13 and up. No registration required.